A single-unit franchise is the most common type of franchise relationship. In a single unit franchise relationship, the franchisor grants to the franchisee the right to operate one location using the franchisor’s trade name, service marks, and operating system. The relationship is directly between the franchisor and a franchisee who generally but not always will be the operator of the location. Often referred to as “mom and pop” franchising, single unit franchising is likely the oldest form of commercial franchising. It was first used in Europe by brewers for the sale of their beers at local taverns, and even by Benjamin Franklin in British Colonial days in the establishment of printing stores. Different from multi-unit franchising where it is expected that the various locations, by necessity, will be managed by hired staff, generally in a single-unit franchise the franchisee is also the manager of the business. However, that may not always be the case. 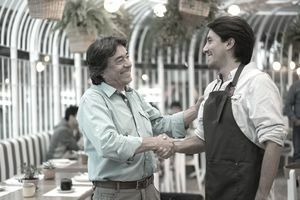 Some franchisors expect that their franchisees will keep their existing jobs and advertise their franchise offering as a manager-run franchise. Other franchisors, including McDonald’s, don't offer multi-unit franchise development agreements but instead allow franchisees to earn the right to acquire multiple locations, each under separate single-unit franchise agreements. On a per unit basis, growing a franchise system via single unit franchising is generally slower and more expensive for franchisors than multi-unit franchising. While the cost of acquiring a multi-unit franchisee is often more expensive than acquiring a single franchisee, once you secure a multi-unit developer, that cost of acquisition is spread over a greater number of locations. Also, in a single-unit franchise, the franchisor has to deal with and support each location separately. In a multi-unit franchise, the franchisor deals with a single franchisee for several locations, and they support the franchisee generally through the franchisee's general manager who oversees multiple locations. This advantage in the cost of acquisition and support is one of the reasons that franchisors today are more focused on multi-unit developers than single-unit franchisees. Another reason that franchisors tend today to look for multi-unit developers is that they are generally more sophisticated in business and are also frequently better capitalized than single-unit operators. Because of their sophistication, multi-unit franchisees generally are represented by legal counsel that assists them in conducting their due diligence on the franchisor, and for that reason have a better understanding of their rights and obligations under the franchise agreements. Also because they are better prepared to be franchisees, multi-unit franchisees are less likely to seek third-party forums to settle their disputes and are more willing and able to take risks as the business and market changes. If there is an advantage to single franchisees, it's in their motivation and need to succeed. Often, single-unit franchisees mortgage their homes, use the proceeds from their 401k, and take and personally guarantee loans. Generally, the revenue earned from the business is their sole income, and this motivates them to operate their business with a focus often missing from the hired management and staff of multi-unit franchisees. “The terms of your contract will govern your franchise relationship. Don’t rely on the disclosure alone to understand your contract. Read all of your contract carefully. Show your contract and this disclosure document to an advisor, like a lawyer or an accountant. Even with the recommendations in articles and clear recommendations that franchisees seek professional assistance in evaluating the franchise, and to also read and understand the contract before they sign it, franchisees often admit during legal disputes with their franchisors that not only did they not have a qualified lawyer working with them when they acquired the franchise, they did not even bother to read the agreement. Franchise Agreements are lengthy and complex. Generally, they are a standard form of contract provided to all franchisees and are Adhesion Contracts that for the most part franchisors will not materially negotiate. There is nothing wrong with contracts of adhesion, and they are common in many types of agreements. But frequently franchisees believe that franchisors use some standard agreement and that all franchise agreements, regardless of the franchisor, are the same. This is an illogical and untrue assumption. The purpose of a franchise agreement is to detail the rights and obligations of both the franchisor and franchisee over an extended period of time. The purpose is to fully define the relationship and ensure that the franchisee will agree to operate their business to the franchisor’s standards and that the franchisor provides the support specified in the agreement. While generally the negotiated changes a franchisor will make for a single-unit franchisee will be limited, multi-unit franchisees may be able to secure additional modifications.